West Meadow Elementary School will have a new principal when students return to classes this fall. On April 8 the Livingstone Range School division announced Sean Latta has been hired as the new principal of West Meadow Elementary School in Claresholm. Latta has extensive administrative experience as principal and vice-principal at various rural schools of Kindergarten to Grade 12. He comes to the Livingstone Range School Division as associate principal at Wheatland Crossing School in Standard, Alberta. He is a graduate of the University of Lethbridge majoring in career and technology studies with a technology focus as well as a Bachelor of Management degree. He holds a Master’s degree in Education in Leadership also from the University of Lethbridge. 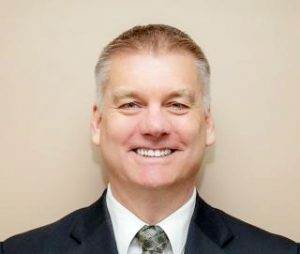 According to the division, throughout his career, Latta has come to understand effective leadership is second only to teaching among school influences on student success. He believes leading by design is necessary to build a student-centered school and success for all. Latta is also a big Calgary Flames fan, and loves to curl in the winter and golf in the summer. He has recently taken up running and plans to complete his first half-marathon this summer.